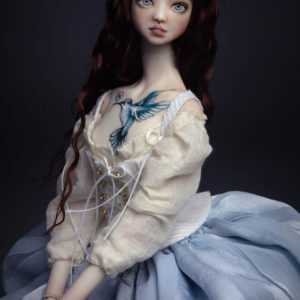 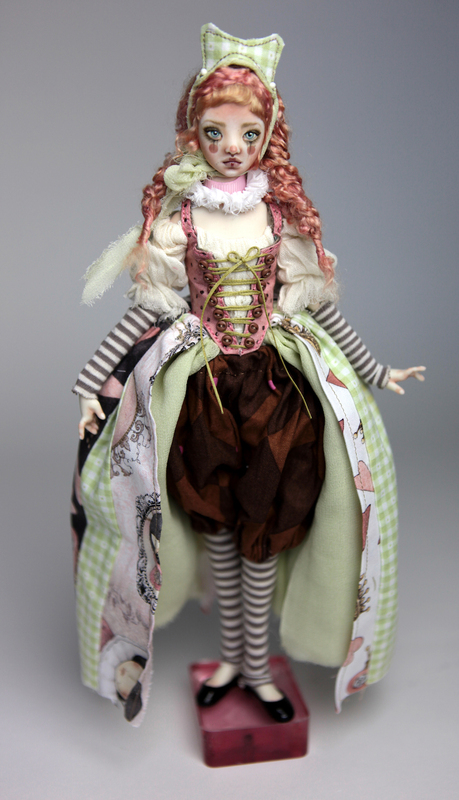 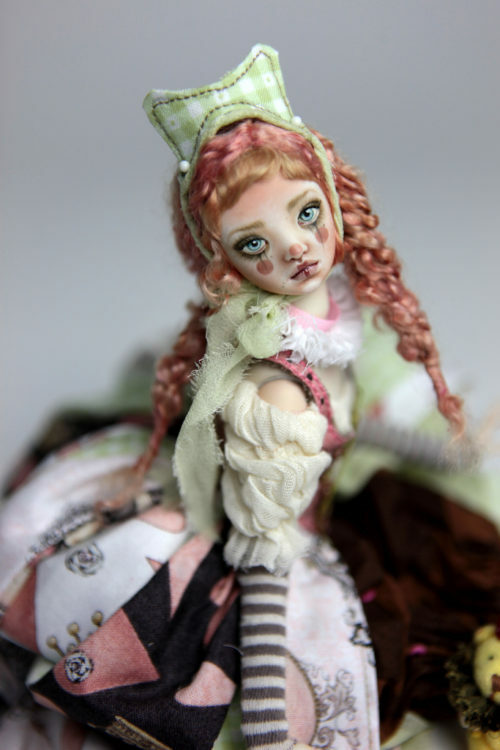 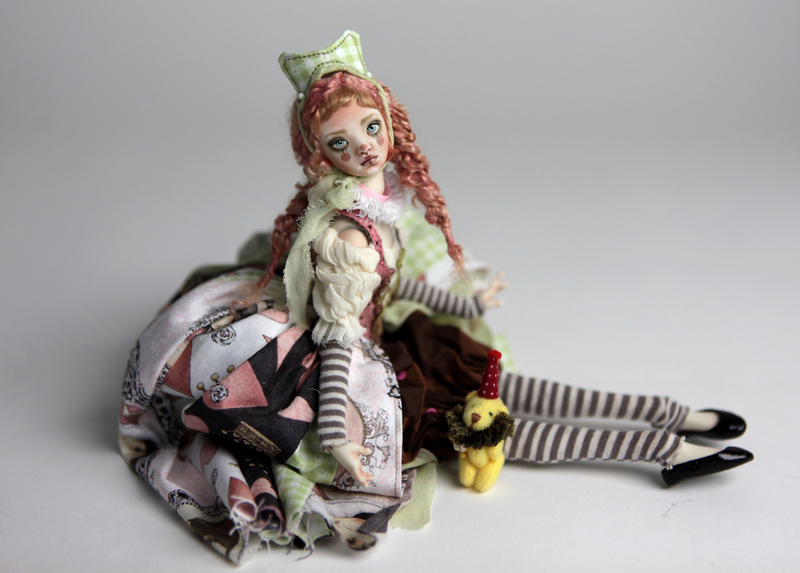 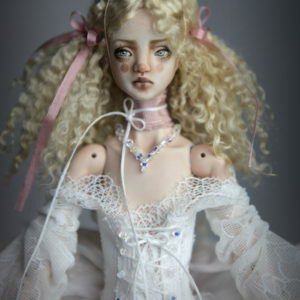 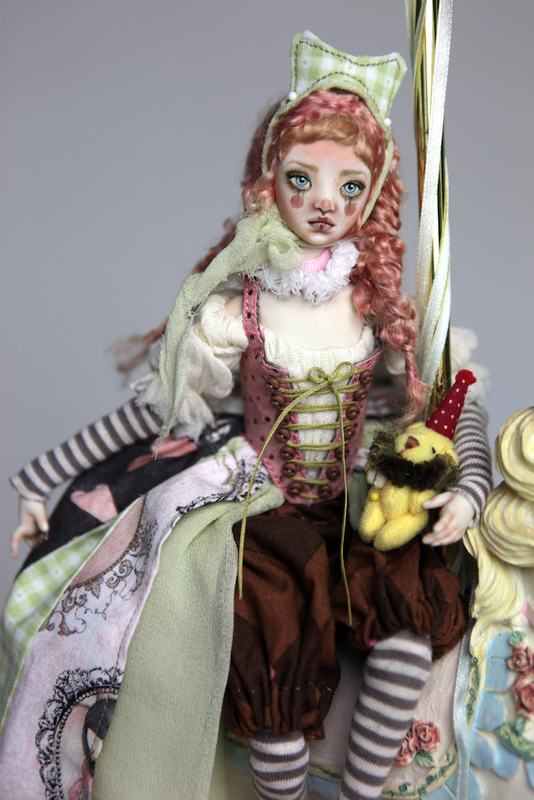 From our 13″ Fine Art BJD Child Doll Collection. 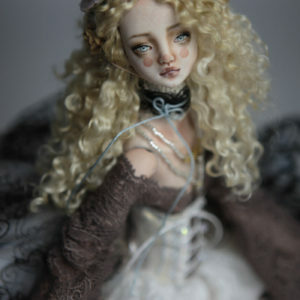 Brand new exquisite elaborate hand made removable wig. 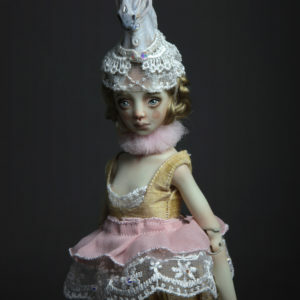 Hand made removable hat and victorian collar. 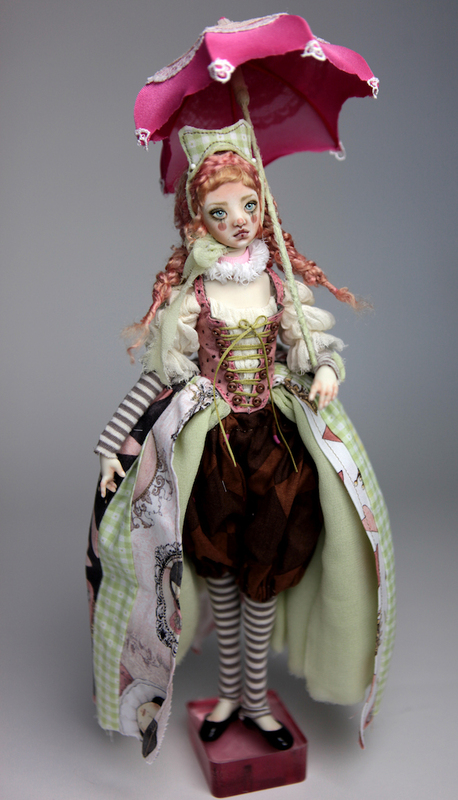 The outfit ensemble: Corset, Blouse, Pants, Skirt and Stockings. 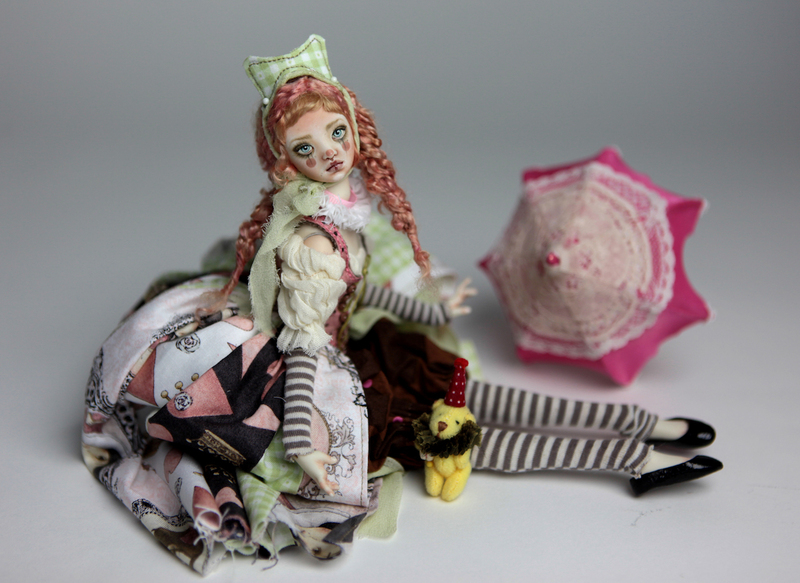 Super cute hand made lace parasol. 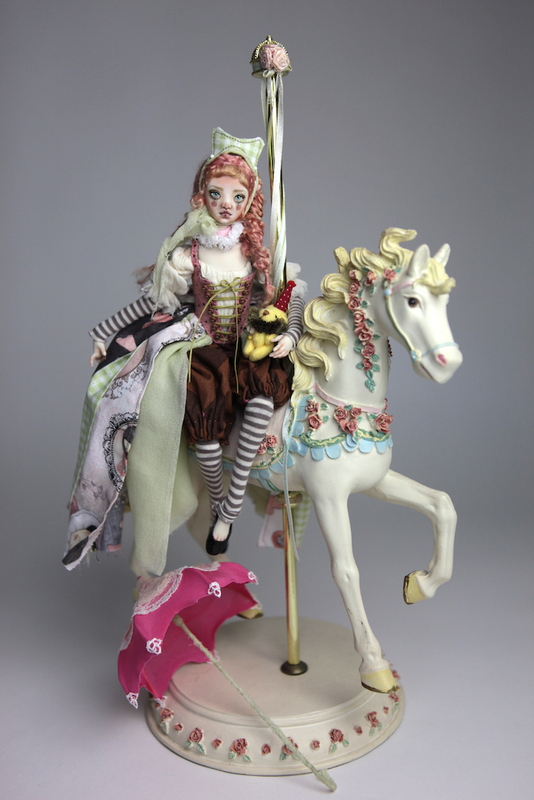 Maya is sold with the resin carousel horse, yes it’s included!